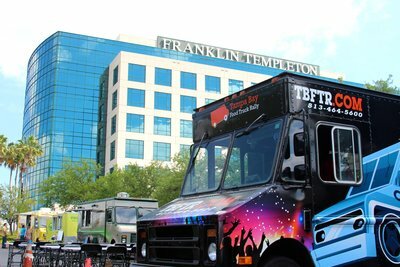 What type of food truck catering do you need? From in-house corporate catering events with chafing dish service inside to employee appreciation meal catering, we have you covered. Click the book trucks now button above or give us a call at 813-802-9119 and let us guide you to the service that best suits your needs. From holiday parties to employee and customer appreciation lunches, we are your one-stop shop for serving up delicious, unique, and customized meals. We will impress your staff with customizable lunch or dinner catering options like no other. Let us lighten your load by taking care of the menu so you can focus on work. Events are what we do! We love to throw big parties and even house parties, especially with our Mobile DJ Truck! We have connections with the top cocktail concoctors, chefs, food trucks, and wine connoisseurs, all ready to take your party to the next level. Fill out the contact us form or call us today and let's talk about what we can do for you. So you have 400 or 4,000 employees or party guests in one location, all hungry for delicious food? That's what we do! At Tampa Bay Food Trucks, we cater with speed and have the track record to prove it! 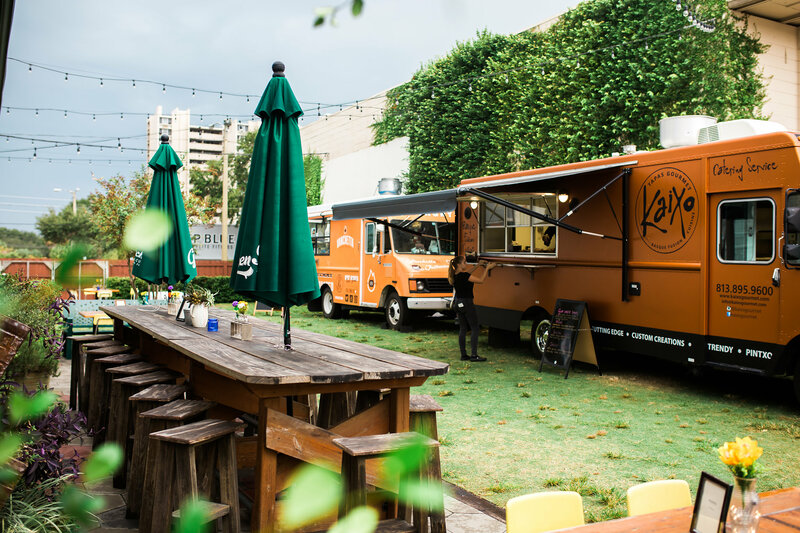 Whether it's a delectable food experience with tastings or a lightning fast service where your team has to get back to what they were doing we can build a menu and select food trucks that will get it done, and well. ** Service can be with or without food trucks. Full service catering available. What are the most important things at a wedding besides the people getting married? Food, Music and Ambiance. 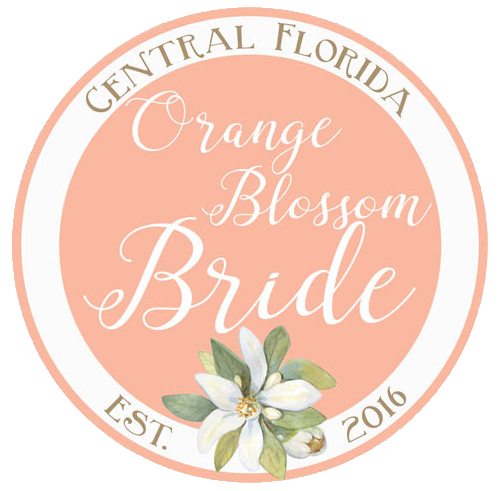 We can help bring an experience to your wedding that family and friends will remember for years to come. Having food cooked on site helps to ensure the plague of cold wedding food is defeated and that hot fresh delish food is what you get! Whether you want your event to be hosted picnic-style with old-school plastic covers, or the elegance of a formal event with beautiful linen, we have what you need to realize your vision. We can provide and set up string and LED uplighting to upgrade the mood of your event. 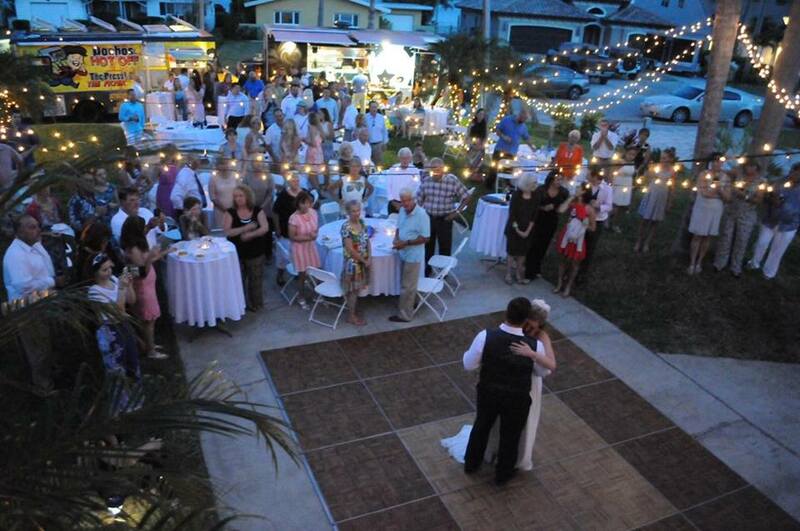 To rent our mobile dance floor, any tables and chairs, the Tampa Bay Food Trucks mobile DJ Truck must be booked as well. Which Truck? Where are the trucks listed online? Do you have a menu or package? We get this question often and there's a very good reason you won't find a list of trucks, menu or packages here. Each truck is uniquely equipped with strengths and we know those strengths. This is a huge part of the service we provide is to ensure our expertise on what can or can't be done well is factored into selecting a truck or trucks and the number of them needed. In addition, food trucks are busy! They may be on vacation the week of your party or already booked for that reason we stick with a base of cuisines to start with and custom build menus based on your wants and desires with who is available.